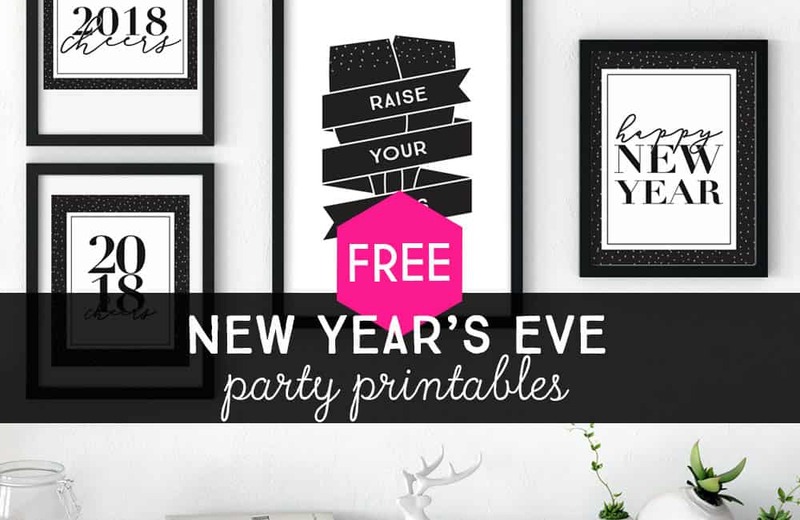 Grab these free New Year’s Eve party printables in time for ringing in 2018 with friends and family. 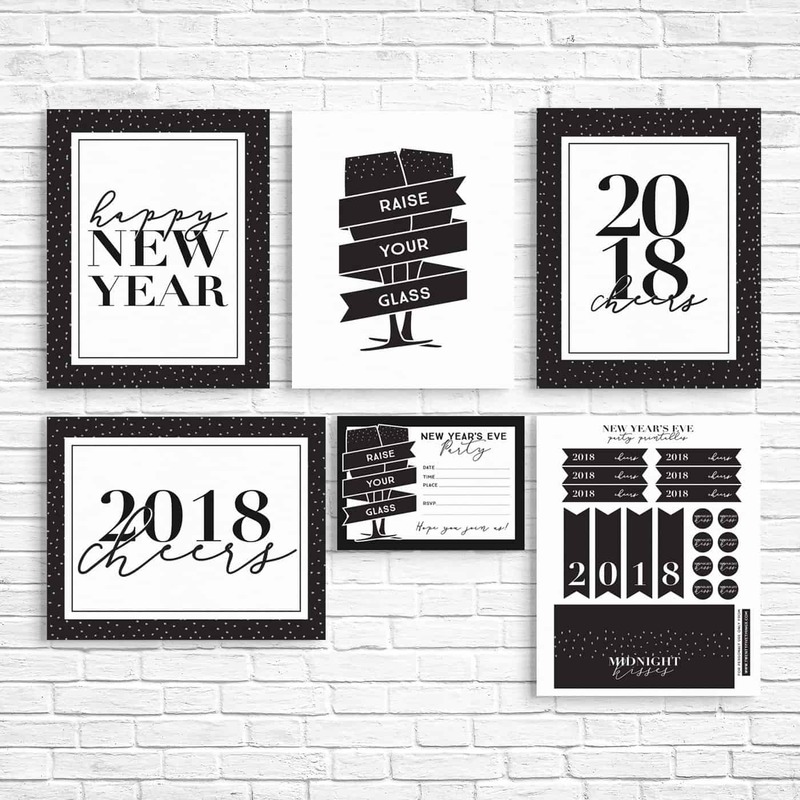 These are super handy, especially for last minute New Year’s Eve party planning, and include printable invitations, “midnight kisses” party favors, straw flags, cupcake toppers, and a mini 2018 bunting! Folks, it’s almost time put 2017 behind us. 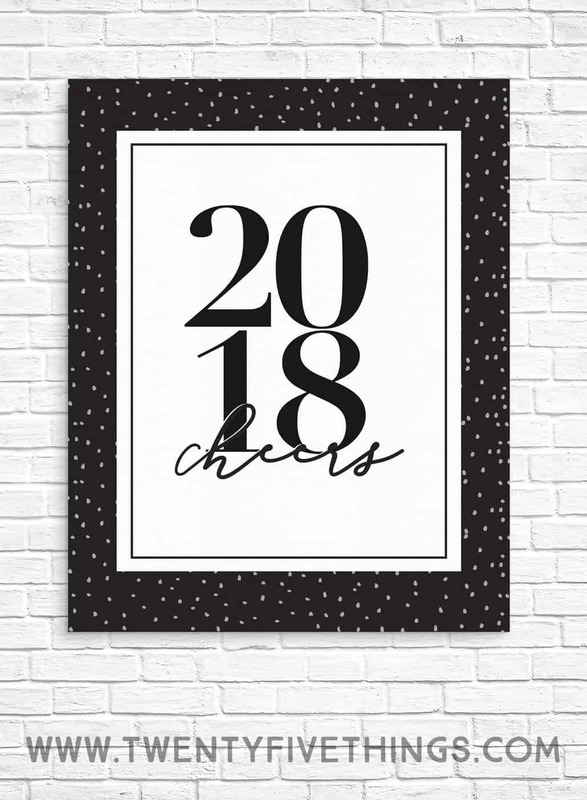 This year has been quite a wild ride, and I think a lot of us are ready to put it behind us. 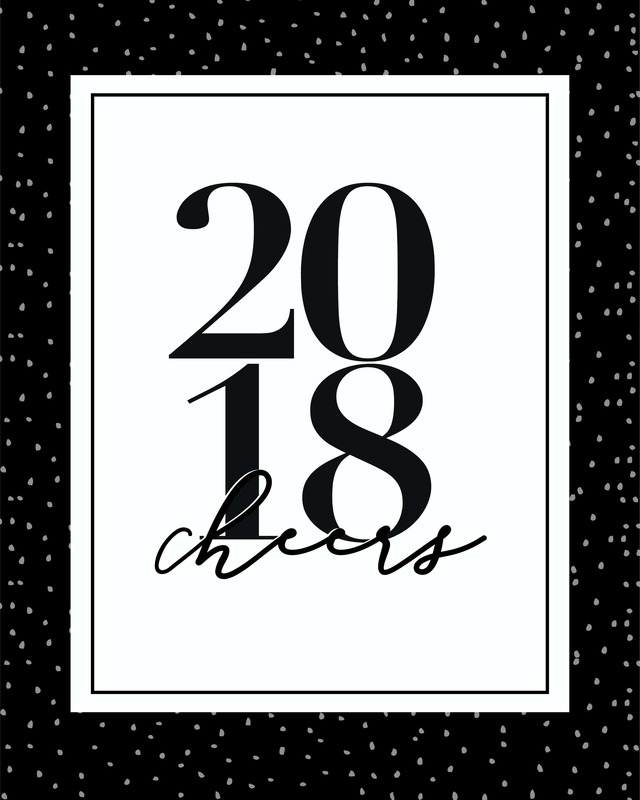 Let’s look ahead to 2018 with high hopes for peace, love, and prosperity for everyone. 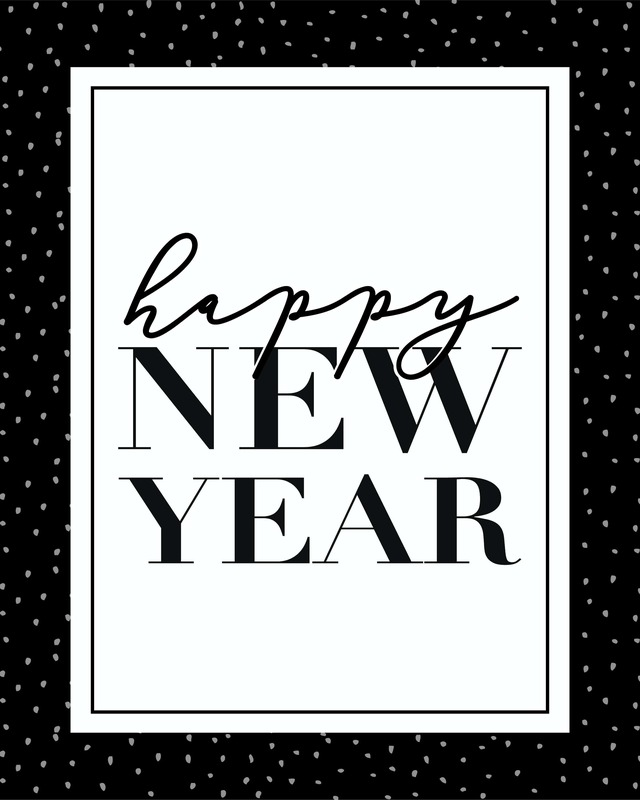 I really think next year is going to be a great year. 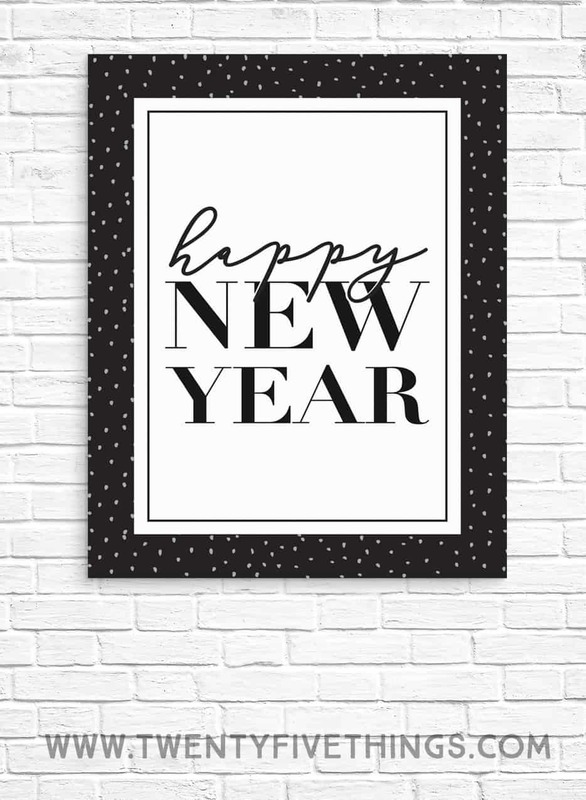 I’m having so much fun creating and sharing ideas for you all, and it’s something I hope to continue to do in the coming year. One thing I’m totally focused on right now, and moving forward, is keeping things simple. We’ve all got so much “life” going on and it just feels like life can get in the way of all of our grand plans. The answer, I think, is just scaling back a little. 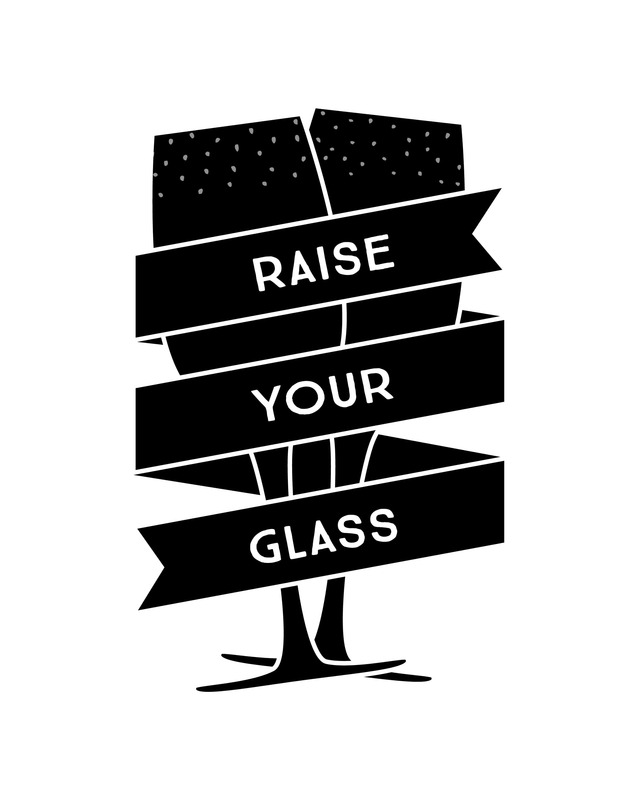 Make a few smaller plans here and there that we can feel good about. I want this space to be a place where families can go for fun and simple ideas. In my own family, I have found that those little simple things that we do together have a lasting impact because it’s really all about staying connected. 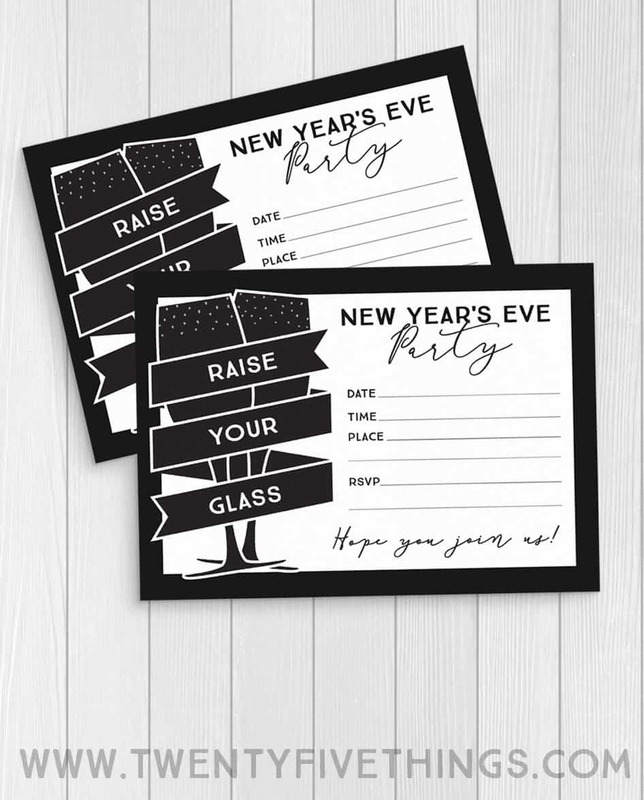 So, with that in mind, I’m introducing some simple New Year’s Eve party printables that you can download below. They’re totally free. And, I won’t even make you sign up for anything. Let’s just keep things nice and easy, sound good? (Download links are further below). 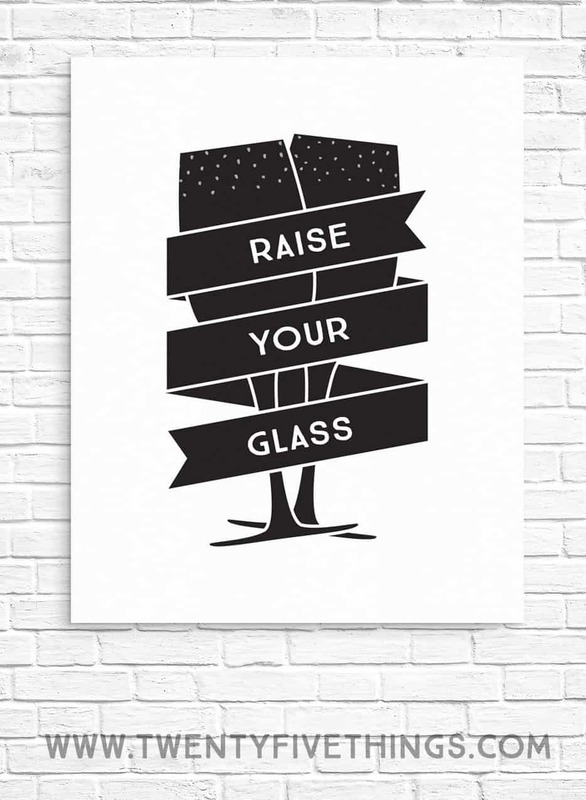 We’ve got some 8X10 prints that you can hang or add to your food and beverage tables. All of these prints are 8X10. We’ve also got some little things that just help with some special details, like tiny “Midnight Kiss” circles to add to the bottoms of Herhey’s Kisses. Or, if you like the Midnight Kisses idea but want to save a little time, just toss some in a snack bag and fold the big label over the top of the bag. 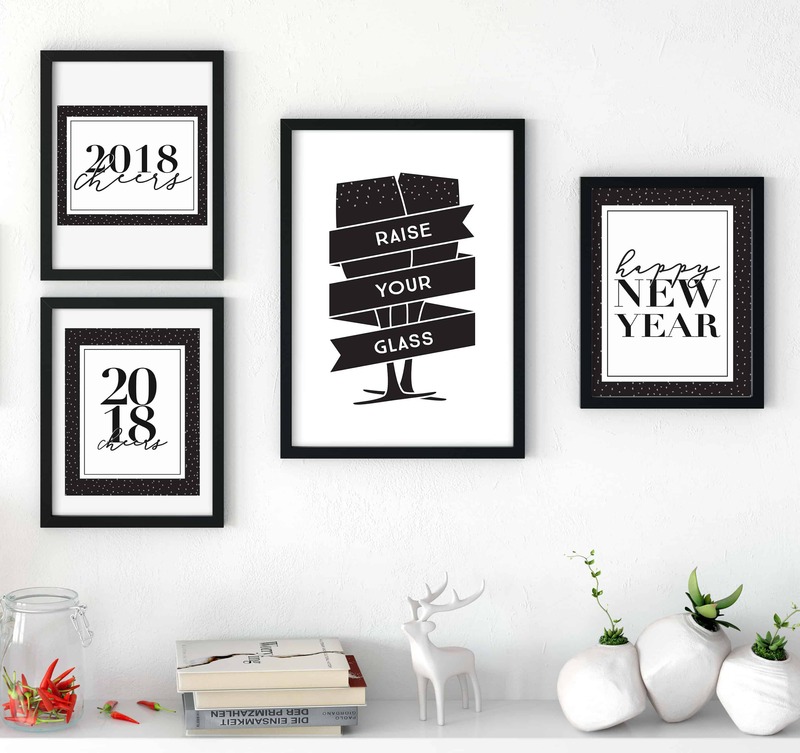 It’s the perfect New Year’s Eve DIY party favor. 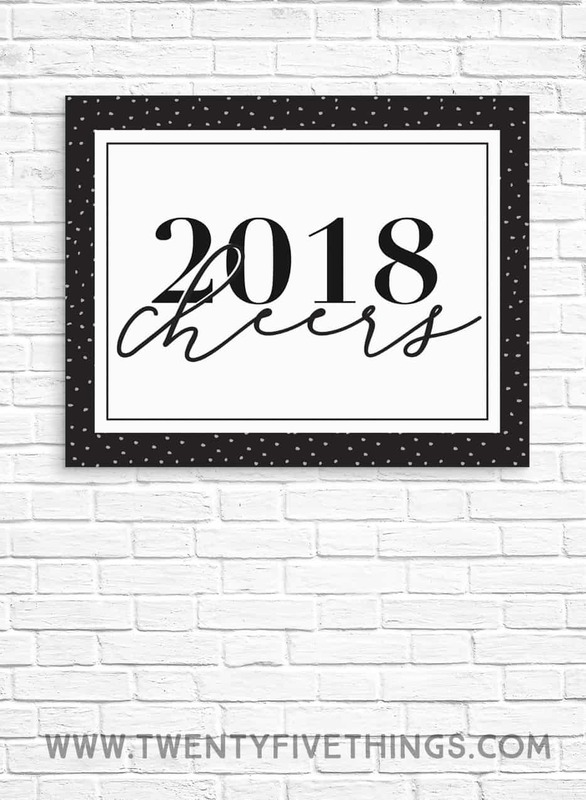 Finally, to all of my readers, I want to wish you a wonderful 2018. Thanks to all of those who have subscribed and left comments. I’m always so grateful to hear when something I have made, or an idea I have shared is useful to others in some way. 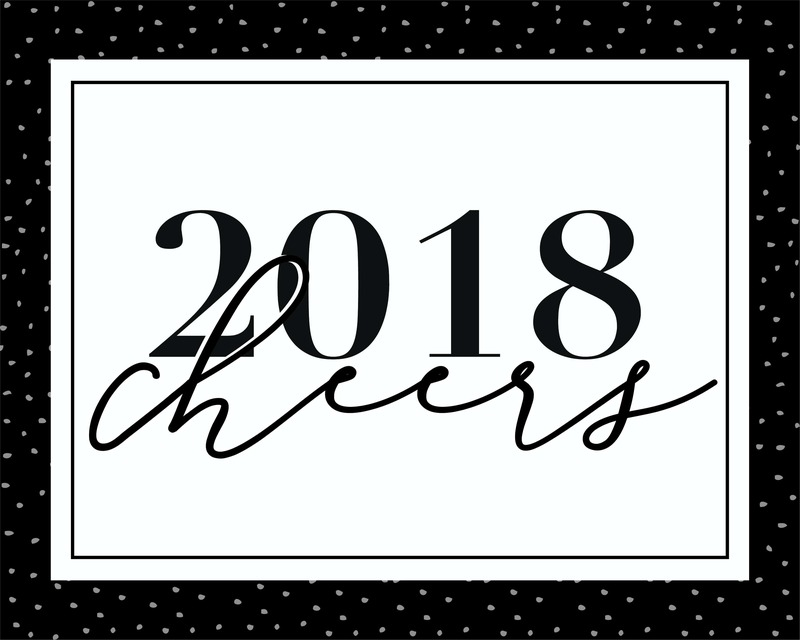 I hope you’ll stick around because I still have a few more ideas to share before the end of the year. Hi! I love finding ways to help busy families stay connected through games, crafts, and food. Lists are my thing. You can read more about me here.